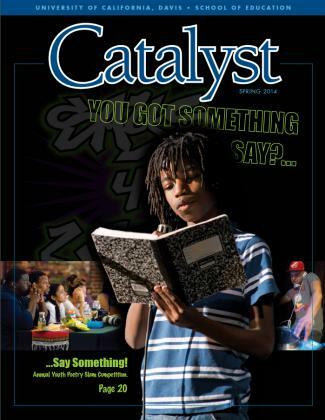 The School’s magazine, Catalyst, is published every spring. 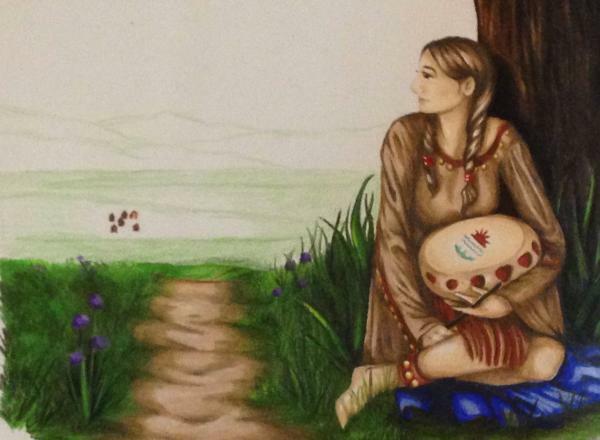 Explore our past and current issues below. 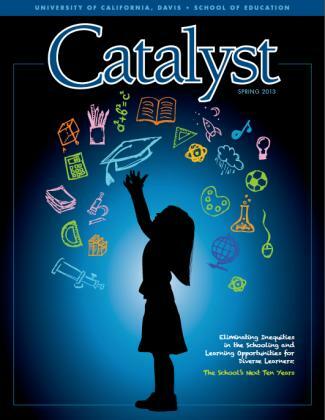 The Summer 2018 issue of Catalyst magazine highlights how three School of Education researchers are changing lifetime outcomes for students with disabilities. In the Spring 2017 issue of Catalyst magazine, we explore how scientific literacy spurs student civic engagement. 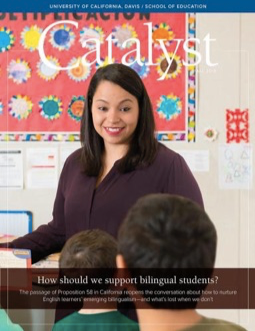 In the Fall 2016 issue of Catalyst magazine, we take an in-depth look at how educators can nurture English learners’ emerging bilingualism, particularly in the wake of passage of Proposition 58 in California. 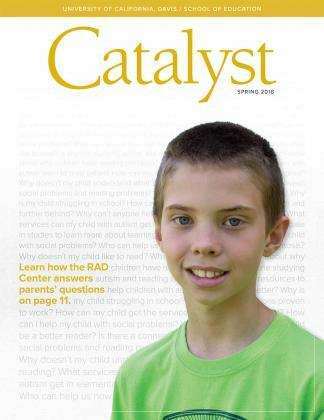 In the Spring 2016 issue of Catalyst magazine, we take an in-depth look at the research behind the unique reading intervention offered by the Reading and Academic Development (RAD) Center. 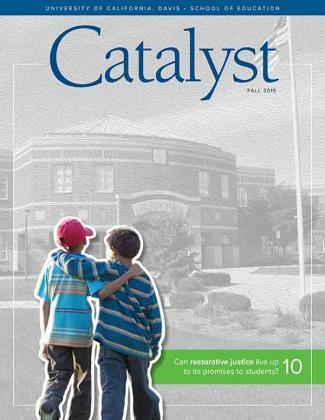 In the Fall 2015 issue of Catalyst magazine, we dive into the promises and pitfalls of restorative justice, examine whether teaching to the test is effective, visit a mobile engineering lab, and much more. 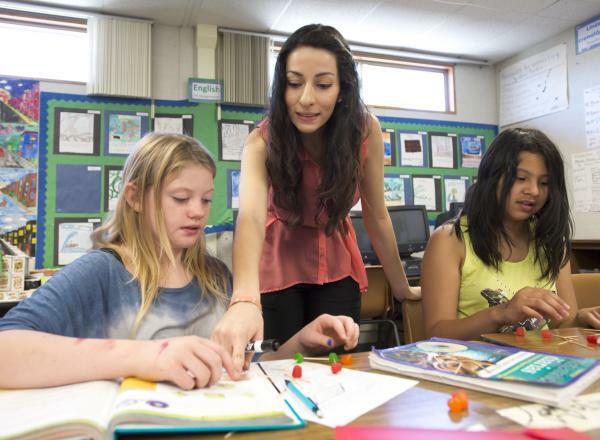 This Fall 2014 issue of the UC Davis School of Education’s biannual Catalyst magazine highlights the breadth and depth of our research and service, as well as the excellence of our programs and people. 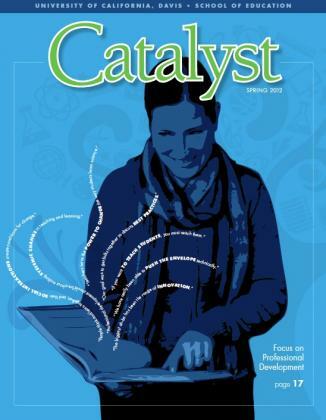 This issue of the UC Davis School of Education’s biannual Catalyst magazine highlights research including a look at the connection between video gaming and health, and the need for formative assessment in mathematics instruction. 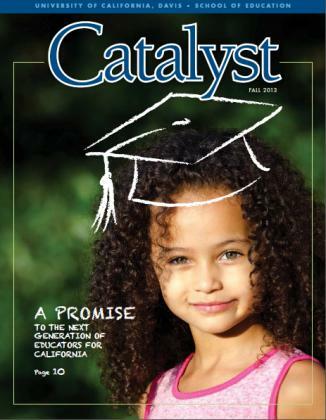 This issue of the UC Davis School of Education’s award winning magazine, Catalyst, highlights research news, updates on faculty and alumni, and includes a special Annual Fund Report. 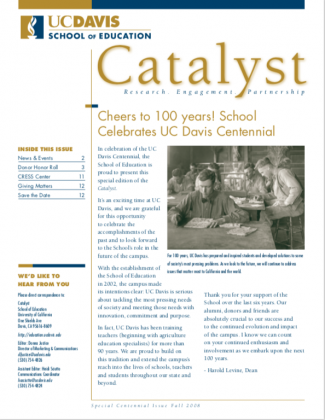 This Catalyst is our final special edition commemorating the UC Davis School of Education’s tenth anniversary. 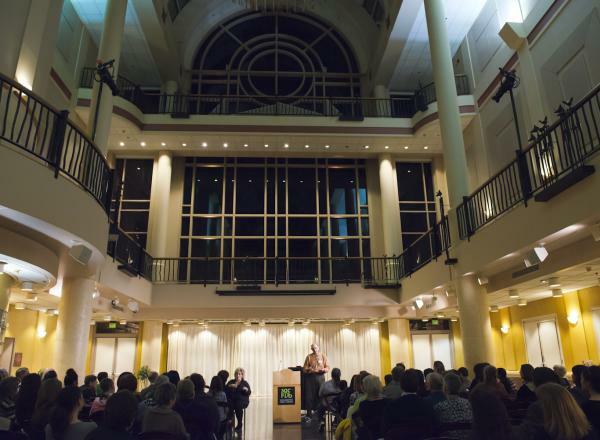 Our tenth anniversary year was filled with celebration of the accomplishments our faculty, students, and alumni made during our first decade and a focus on the School’s vision for the future. 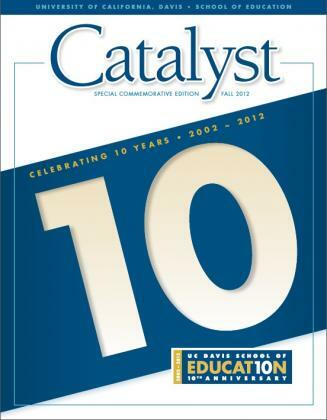 The School of Education is pleased to present special edition of the Catalyst to commemorate its tenth anniversary. This issue features a timeline to illustrate how the School grew each year over its first decade. 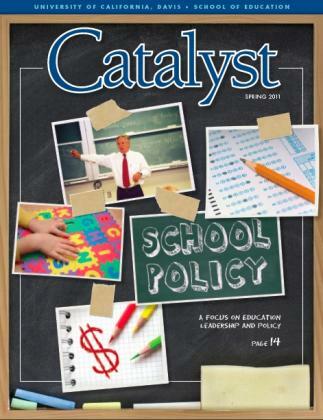 The School of Education is pleased to present its Spring 2012 Catalyst. 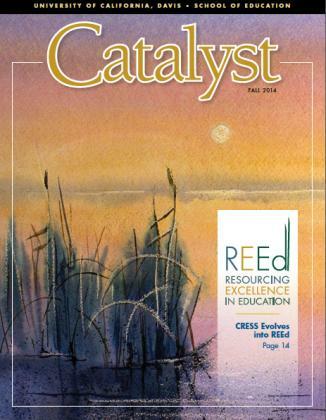 In this issue we feature a special section on Strengthening Professional Learning Communities. 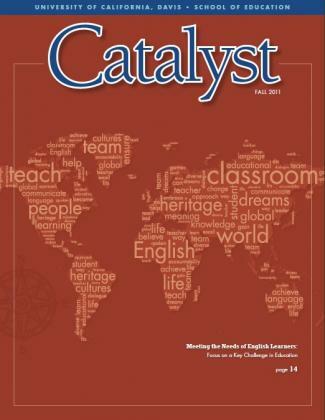 The School of Education is pleased to present its Fall 2011 Catalyst. In this issue we feature a special section on Strengthening Scholarship and Practice for a Diverse World. 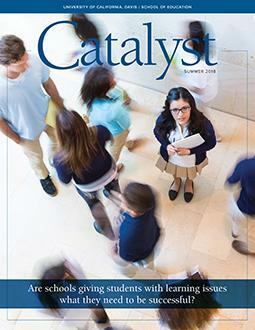 Inside this issue, we explore the impact of the School’s work in education policy and leadership. We also feature the School’s 2011 Distinguished Alumni, welcome two new faculty, and celebrate new gifts to establish scholarships for students. 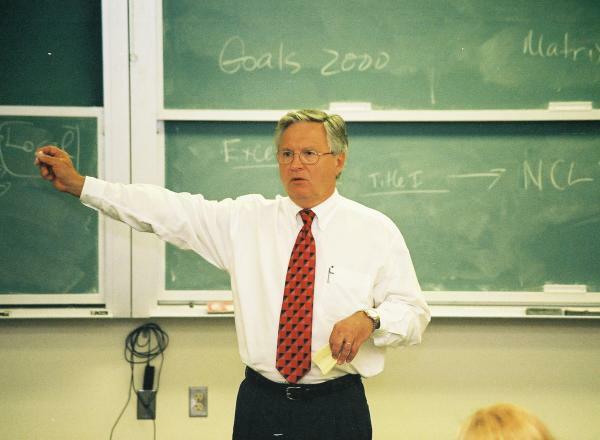 The School of Education is pleased to offer its Fall 2010 Catalyst. In this issue of the magazine, we delve into how the School is tackling the need for robust STEM (science, technology, engineering and mathematics) education in our schools and communities. 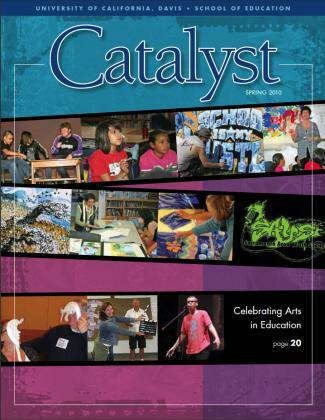 The School of Education is pleased to offer its Spring 2010 Catalyst. 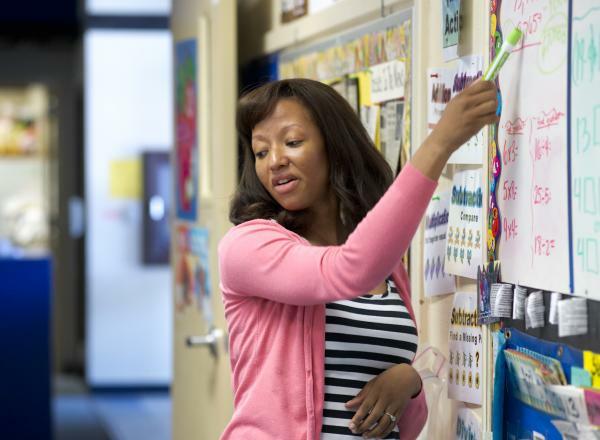 In this issue, we provide just a glimpse at the diversity of programs and solutions we employ to address the needs of schools and communities in our region. 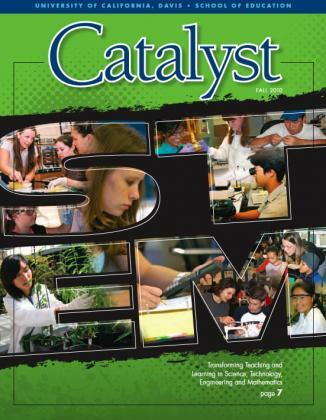 The Fall 2009 issue of Catalyst features numerous examples of the School’s innovative approach and commitment to doing what matters in the field and in the academy. 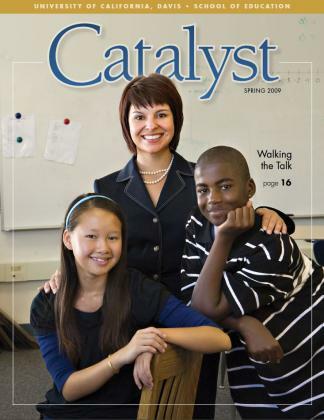 The Spring 2009 issue introduces our new magazine format for the Catalyst, with a feature article on our charter school, West Sacramento Early College Prep. 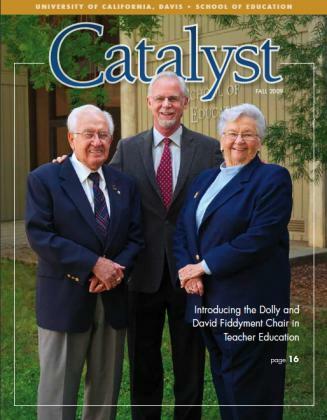 The Fall 2008 issue of Catalyst celebrates UC Davis’s Centennial; introduces Chris Faltis, the Dolly and David Fiddyment Chair in Teacher Education; and thanks the Children’s Center at Sutter Medical Center, Sacramento, for its generous endowment to support Words Take Wing. 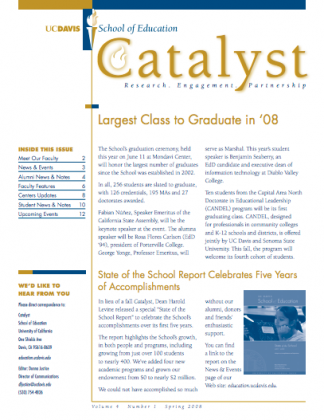 In the Spring 2008 issue of Catalyst, we report on the State of the School report, a reflection on the School’s first five years in operation; we welcome five new faculty; and we feature our first teacher appreciation event, which is now our annual Honoring Educators and Alumni Awards Reception. 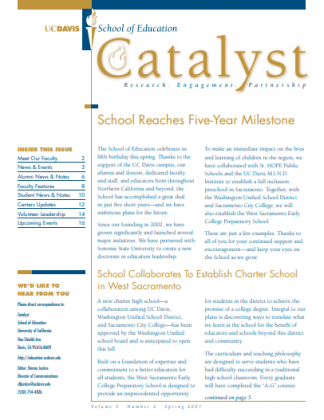 In the Spring 2007 issue of Catalyst, we celebrate the School’s fifth birthday. 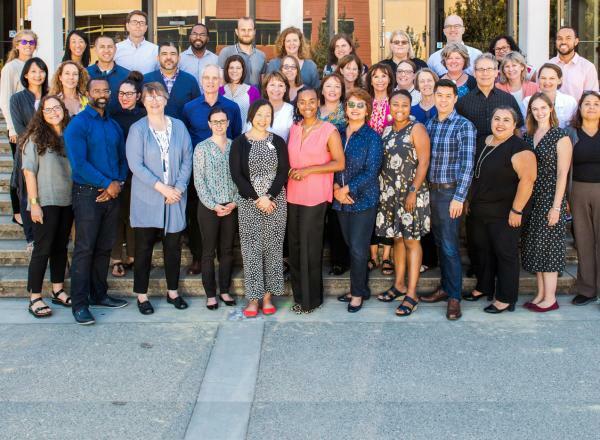 We have an article on the School’s partnership with Sacramento City College and Washington Unified School District to establish a charter school, West Sac Early College Prep.